There are over 30 different species of horseflies, horse flies or horse-flies in the UK. They are the most obnoxious of flies but also have strikingly colourful eyes. 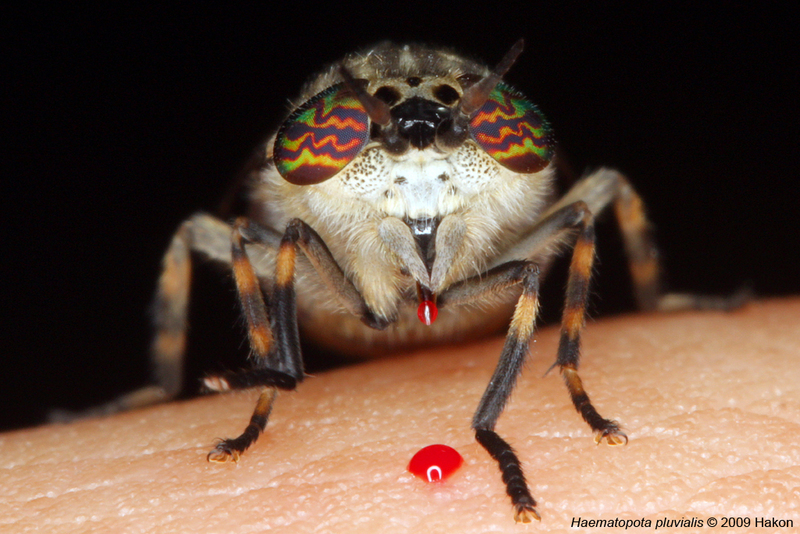 Haematopota pluvialis, also known as the Cleg, moves with absolute silence, selects a suitable exposed area of skin, and sinks its mouthparts into our flesh - the first indication we have of its presence and by then its too late. The 30 species are spread over 3 genera; Haematopota sp, Tabanus sp and Chrysops sp.